Recently, I spent two days in Concord North Carolina with team members from MedCenter Air. 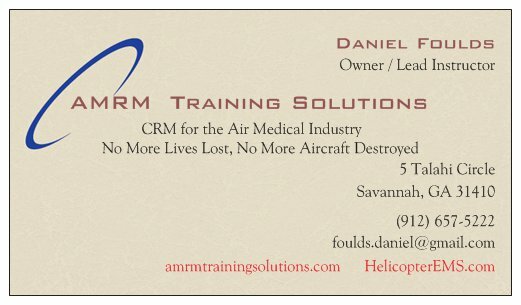 If you are not familiar with this flight program, take it from me - it's a squared-away organization. The hospital supports a first-class program, with great equipment, and highly qualified and continuously trained staff. The lead pilot formerly flew the President of the United States. 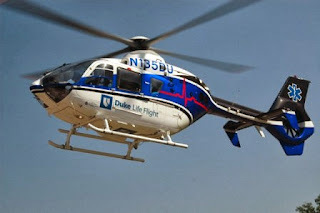 When Clinicians leave MedCenter Air, it's to become PAs, CRNAs, NPs, or to run programs like Duke Lifeflight. The look and feel is one of excellence. 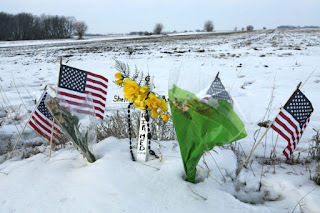 I had time to reflect on the fact that programs like; MedCenter Air, LifeLion and Geisinger LifeFlight in Pennsylvania, Mayo-One at "the Clinic", and the Order of the Sister's of Saint Francis Aviation program headquartered at the Peoria IL airport, which all spend huge sums of money to be the best in HEMS, get the exact same pay for flying patients as does someone transporting sick people in the cheapest, least capable aircraft available, with pilots and clinicians who barely meet the minimum requirements. For reasons both moral and ethical, society continues to move towards health-care provision that is more-safe, more capable, and more effective. This includes HEMS, which is a force-multiplier for the health-care industry, but which is provided at differing levels of capability while being marketed as uniformly wonderful. To be sure, if we were to take away the 900-odd helicopters that are used on a daily basis to move patients from less capable rural health-care services to tertiary-care hospitals in major population centers, the inadequacies of our national system would manifest themselves on a large scale. As it is, HEMS operates largely "under-the-radar," even in the face of NTSB reports that highlight the fact that all HEMS companies are not equal. Most people simply don't understand the differences that mean some aircraft can only fly on nice clear days while others can fly through moderately adverse weather like rain showers and clouds. While some can transport two patients, others are restricted to one - and have to sacrifice fuel-range if that single patient is heavy. Some helicopters can transport patients supported by heavy, bulky equipment like an Intra-Aortic-Balloon-Pump, while others force crew members to literally squeeze in next to each other and make any real patient care in flight difficult if not impossible. Ironically, no matter how limited a programs capability, they all call themselves the same thing, a helicopter ambulance. 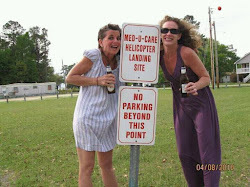 Under current reimbursement schemes, there is a moral hazard in that the financial incentive is for a helicopter ambulance company to operate the smallest, cheapest, least-capable equipment that will get a patient airborne, no matter what provisions for safety are left off. There are no single engine jets with the Delta logo on them, but single engine helicopters are the predominant choice - because turbines are both expensive and reliable. Last year, two different helicopter companies had single engine helicopters crash on the same day after suffering loss of power from their one available engine. Because turbines DO fail, airliners have at least two engines available for safety and redundancy. We take it for granted that multiple engines are part of the picture on a big jet, but not on a helicopter, because many people don't understand how helicopters work, or what their limitations are. Another reason that "anything goes" in the HEMS world is that the passengers, who are also patients, are usually not in a condition to ask questions about the crews or aircraft they are being shoved into. While some county EMS directors are aware of the differences between companies and the aircraft and crews they bring to the scenes, and are selective on whom they will call, the vast majority of times the call is for a "helicopter," and the nearest one gets the call. 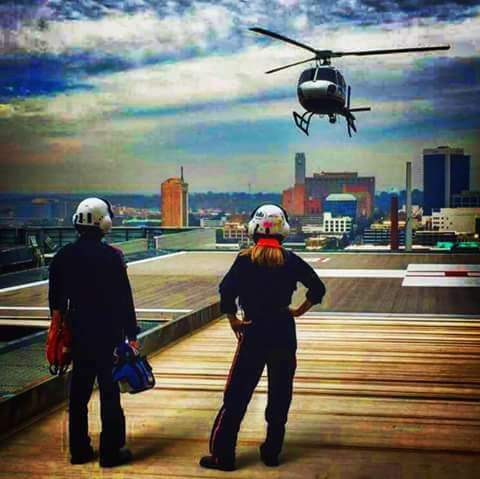 To move HEMS towards more safe and capable operations the time has come for tiered-reimbursements, starting with CMS. It is common knowledge that as goes Medicare, so goes private insurance. Of course we have to get from where we are now to where we should be without decreasing the capabilities and resources that exist today. It is also not fair to ignore the fact that putting any helicopter into HEMS represents a huge investment and risk-undertaking. Some people operate a Bell 206L3, parked next to a single wide trailer in the middle of a corn field, because that is all they and their service-area can afford, and it's better to have something than nothing that flies. 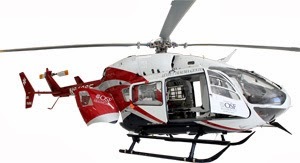 Conversely, "OSF Aviation is located in an aeromedical operations facility, opened in Summer 2007. This structure allowed OSF HealthCare to base the life-saving services of all three entities under one roof. There are two mechanisms for doing this, grandfathering or sun-setting. Grandfathering would mean that anyone operating an aircraft as of a certain "start-date" would be exempt from any changes to reimbursement (think decrements or deductions) that might be effective after that date, for as long as that aircraft is operated in HEMS by that company. While this might reduce the resale value of a helicopter, it would allow the operator to continue under the current paradigm until the cost of putting the aircraft into service has been recouped. This might mean that change would come more slowly to the HEMS industry than is desired. Sun-setting (as the FAA did with airline regulations decades ago) would leave things as they are initially, then gradually incentivize moving to more capable, safe, and sophisticated aircraft, and could include other factors such as medical staff who meet certain criteria. One measurement of program capability and sophistication might be "CAMTS" certification. Reimbursement should favor more capable aircraft, pilots, and crews, able to offer more service in a more safe manner to the American public. One possible sunset scheme would be to leave things as they are for three years. Then separate transports into three tiers, tier one or "A," two or "B," and three or "C." This differentiation would apply to individual transports as with basic-life-support and advance-life-support ground-ambulance trips, based upon equipment and/or staff. A tier one trip would include a twin-engine instrument-flight-capable aircraft with full autopilot, night vision goggles, a specially trained and highly experienced pilot and medical crew, with the highest levels of available certification such as ATP for the pilot, CFRN or CFP for the medical staff, and CAMTS for the program . If all these conditions were met for a trip, tier-one reimbursement could be claimed. Tier-three would equate to the least capable aircraft, typically with one engine, limited to flying in visual-flight conditions (fair weather), perhaps even restricted to daylight conditions (I think the FAA will soon require NVGs for night VFR HEMS flights). The pilots would have to have whatever experience the FAA, the operator, and the operator's insurance company requires and nothing more. The medical crew might be new-graduates or might have only a year or so of practical experience. 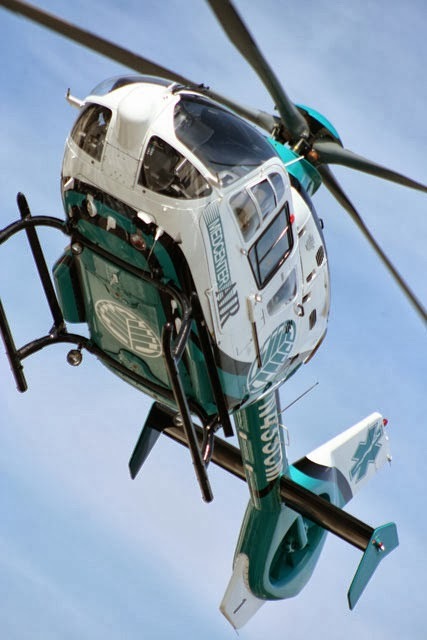 Tier-two would fall somewhere in the middle, with criteria to be hashed out by the FAA, CMS, CAMTS, and perhaps the professional organizations devoted to HEMS such as NEMSPA, ASTNA, AMPA, AAMS, and the IAFCP. 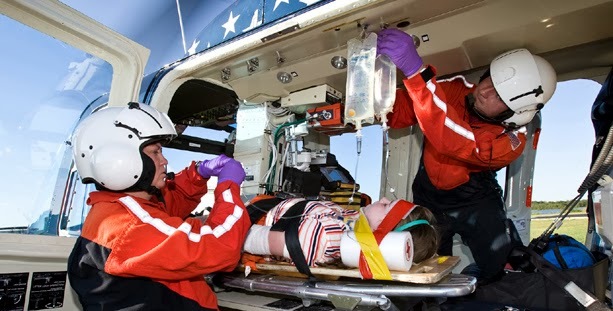 After the sunset period, reimbursements would be paid in full for tier one, with a percentage reduction for tiers two and three, phasing over successive years to reflect the gross disparity in costs associated with the different types of HEMS programs available today. The end goal is to have ALL services eventually work towards the tier-one level of service, because that will be where the money is. And that is what our patients deserve.